1. The patella is, by far the largest sesamoid bone. 2. There is one sesamoid bone in the tendon the peroneus longus. It articulates with the cuboid. 3. Sesamoid bones may be present in the tendons of the tibialis anterior, the tibialis posterior, the lateral head of the gastrocnemius, the psoas major, and the gluteus maximus. 4. There are two small sesamoids in the tendon of the flexor hallucis brevis. They articulate with the head of the first metatarsal bone. 5. 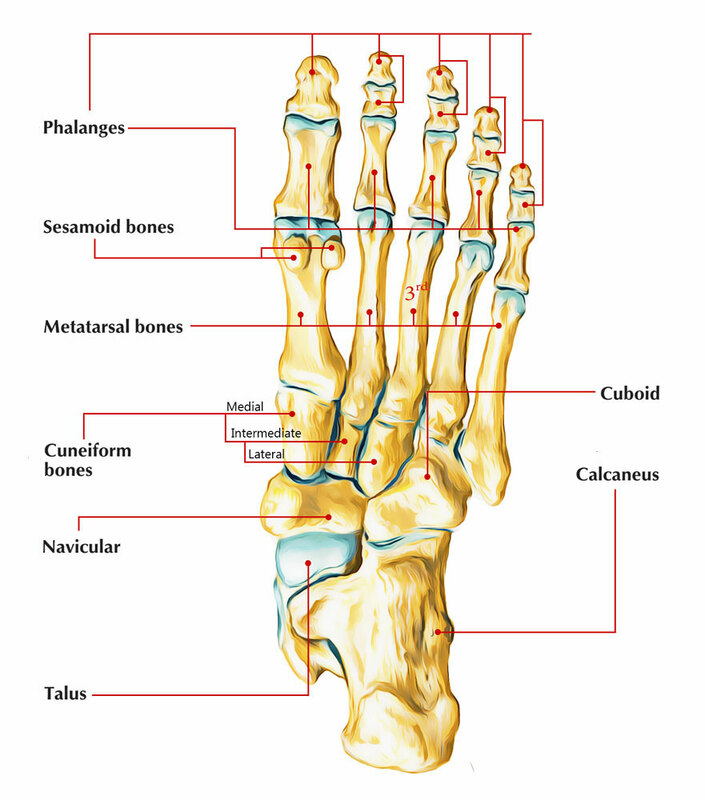 Other tendons crossing the metatarsal, phalangeal and interphalangeal joints may have sesamoids.